In January 1847 the deadliest battle of the Mexican-American War in California occurred east of present day Temecula. This event was the direct result of a series of events starting with the Battle of San Pasqual (outside Escondido) where local Californios, led by Andres Pico, defeated the forces of General Stephen W. Kearny. Following this battle 11 Californios went to a rancho located in Pauma Valley. Several Luiseno Indians captured the Californios and later killed them all. No one knows for sure why the Luiseno Indians killed the Californios but different accounts state they were sympathetic to the Americans, they were righting the past wrongs at the hands of the Californios, or the Californios had stolen horses from the Luisenos. Mexican General Jose Maria Flores ordered Don Jose del Carmen Lugo of San Bernardino to find and put to death the guilty Indians. Don Jose del Carmen Lugo with 22 men was joined by Don Ramon Carrillo of San Luis Rey and his 10 men. 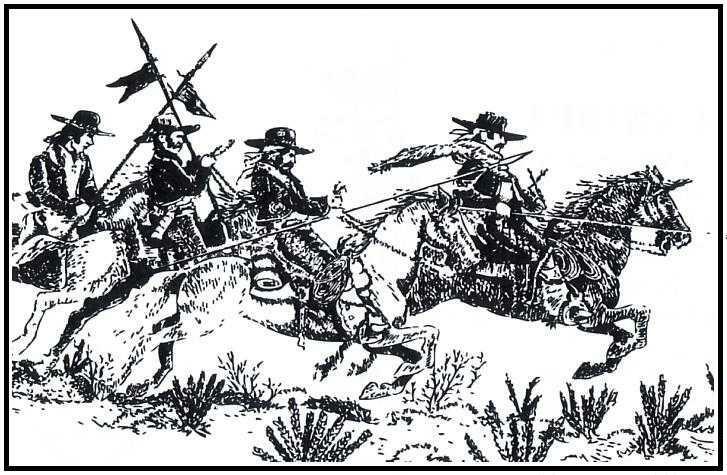 Understanding that there were not enough Californios to confront the Lusieno Indians, Jose del Carmen Lugo enlisted the help of Juan Antonio, leader of the Cahuilla Indians, and 50 of his men. 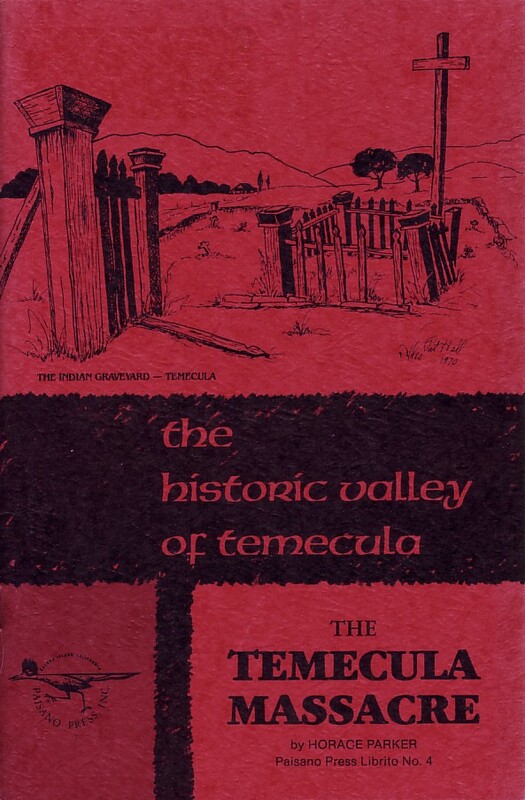 “We went together to Temecula carrying two pieces of white cloth to use as a special signal to Juan Antonio’s Indians. We reached Santa Gertrudis and rejoined Ramon Carrillo and his force. We notified our people that we were leaving immediately, to fight the hostile Indians at daybreak. We started at eleven o’clock at night. It was daylight when we came to the enemy. We arranged our plan of attack. There were high hills and rather deep canyons, but not extensive. In one of the canyons from which we could reach the enemy, I placed an ambuscade of fifty Indians and fifteen white men, with strict orders not to show themselves until the last of the Indian enemies passed. I stationed myself in the mouth of the canyon with some men, and Carrillo went to trick the enemy by calling their attention and leading them to follow him. As soon as they saw him they rose and went after him. He passed them, fired at them and retreated slowly and in an orderly manner until he came to where I was. The Indians followed him eagerly. My men who had rifles and other good arms, of whom I had placed five on the ridges or high places in the canyon, were told to fire only at the fighters because they were chiefs and came in the middle of the main body. We lured them on about a league until they passed the ambuscade. Then the men rushed out from the ambush upon them from the back at the same time we fought them from in front. We made a great slaughter, and falling upon them from the rear killed many of them. Before reaching Aguanga in their flight, eighteen or twenty of them turned back and gave up their arms. They were made prisoners and placed in charge of Chief Juan Antonio, who told me to care for my men and he would care for the prisoners. On reaching Aguanga we amused ourselves killing some three Indians who continued fighting. After terminating the affair, in which perhaps a hundred Indians perished, we went back to Juan Antonio and found that he had killed all the prisoners. I reproached him for these acts of cruelty, and he answered me very cooly, that he had gone to hunt and fight and kill Indians who kill him; that he was sure that if they caught him they would not have spared his life but would have burned him alive. The booty collected amounted to no more than a few sarapes, arrows, lances, and other trifles, all of which I gave to Juan Antonio and his people. Based on this written account it would seem that in order to travel by night it would have had to happen when the moon was full. According to the U.S. Naval Observatory’s web site, in January 1847 the full moon occurred on the 1st of the month. With this said, the battle would have occurred on either the 1st, 2nd, or possibly the 3rd of the month. The point where they left at 11 PM at night (Santa Gertrudis) is today known as Adobe Springs which is located west of Highway 79 near Benton Road. The small contingent of Californios eventually reached the mouth of the canyon (now leading to Vail Lake) at sunrise where they lured the unsuspecting Lusieno Indians back to the ambush site. New research seems to indicate that the battle itself occurred in the canyon area leading into Vail Lake. The hills where Camino del Vino and Nogales Road intersect is now believed to be the area where the Californios and Cahuillas encamped prior to the conflict. This information was obtained from Antonio Ashman, a Temecula Indian born in 1879 and who passed away in 1980. At the time that the Mormon Battalion arrived in Temecula on January 25, 1847 it was noted in the journal of Lieutenant Colonel Philip St. George Cooke that 38 of the dead Luiseno had been buried. Based on these written accounts (Jose Lugo & the Lt. Colonel Cooke) it would place the total Lusieno Indians killed between 38 – 120. The cemetery is now located east of Apis Road off of Temecula Parkway surrounded by a 6 foot simulated adobe wall. This information was obtained from a 24 page book written by the late Dr. Horace Parker, longtime resident and local historian. Dr. Parker wrote 4 small books (libritos) and published them as a set. They are on sale today in the gift shop of the Temecula Valley Musuem. His librito is probably the most complete and detailed account of the Temecula Massacre including the events immediately preceding the massacre. The Temecula Massacre by Dr. Horace Parker. Published in 1971, Paisano Press (Balboa Island, California) – Series: The Historic Valley of Temecula, Paisano Press Librito, No. 4.